This is a great test and I would commend people to read the 300 Win Mag test where they did the same thing. In the good old days of Precision Shooting magazine (how we miss you! ), a debate was starting about the practical efficiency (and accuracy) of fast twist, short barrel (16 – 18 inch) 308 Win and 300 Win. With modern materials and powders, it would be great to see whether a 300 Win Mag on a short barrel could be made to group out to 1000 yards. 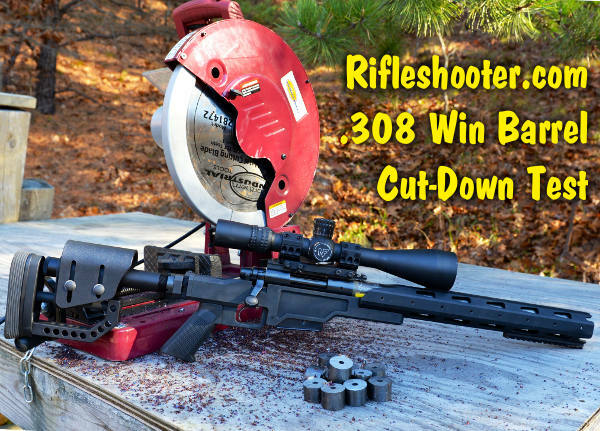 Thanks for the kinds words about the 308 and 300 Win barrel length posts. We also have a 223 and 7 rem mag up there. We stopped at 500 yards, but I had some legit 2.5″ 500 yard 5 shot groups. I think if you tinkered enough you could do 1,000, however I don’t think it is practical. The short barrels gas out pretty quickly. Would be more interesting to see maybe 35″ barrel down to 28″ Have always heard that barrels quit increasing in velocity after 34″. Would be interesting to find out. Above 28, 30″ the change is very slight. I had a 34″ Border on my Palma rifle for a time. Velocity was about 10 FPS below that of my 30″ Border. SD’s and ES were superior from the longer barrel, as was the sight picture. This was with Varget powder. Great test ! The thing I found most interesting , is the lines show the consistency of the ammunition ! The Federal shows a fairly straight line. 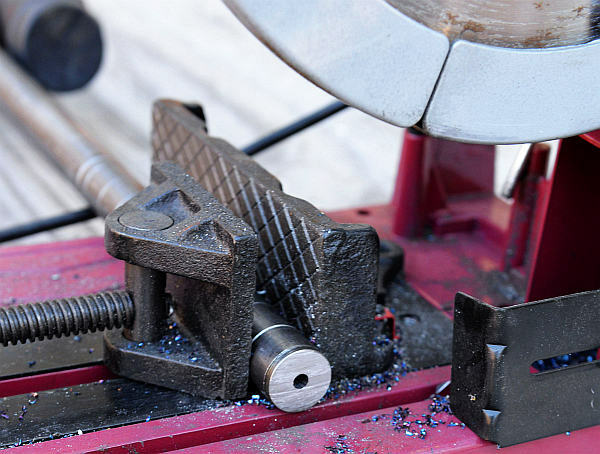 With F Open shooting it does take a lot of testing over a long time to come up with the “sweet spot” of barrel length for one powder type for barrel, bullet brand/weight/and design alone. As a “Wildcatter” it gets more so! After 15 years I’m still working it out. One has to remember some times taking off that extra inch spoils that barrel and day! Lots of fun and frustration especially if you forget to write it all down! He,he. 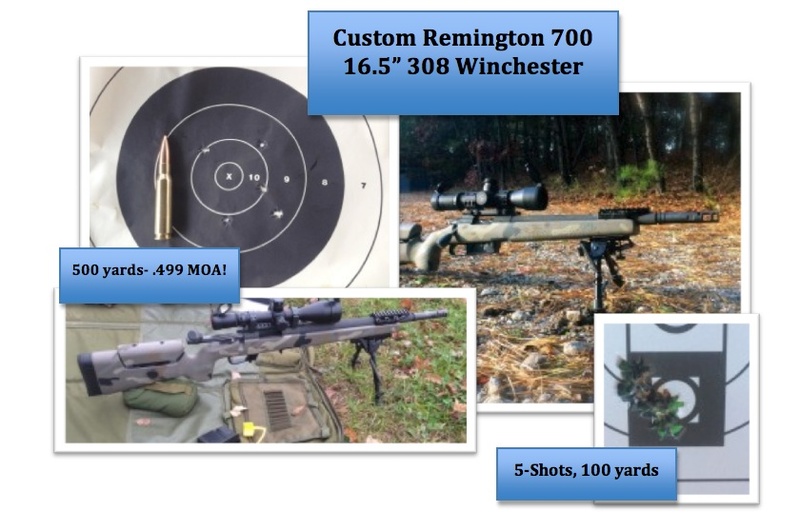 Does anyone have data on bullet drop vs barrel length? 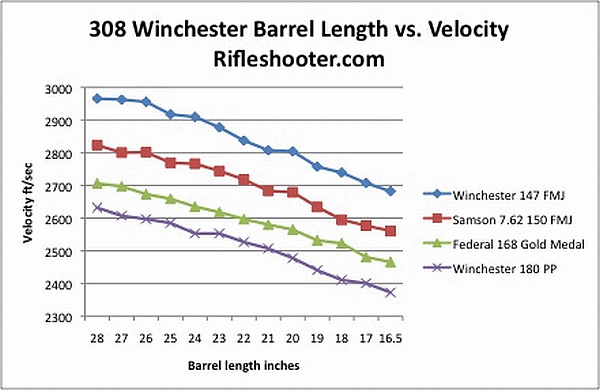 Based on the data published in the Rifle Shooter article, the average of most efficient barrel length is 21.7 inches.